On The Trail With Hyundai’s All-New Santa Fe. Santa Fe may well be a city in New Mexico, but to Korean car manufacturing giant, Hyundai, the name is synonymous with one of the most popular seven seat SUV’s on the market. 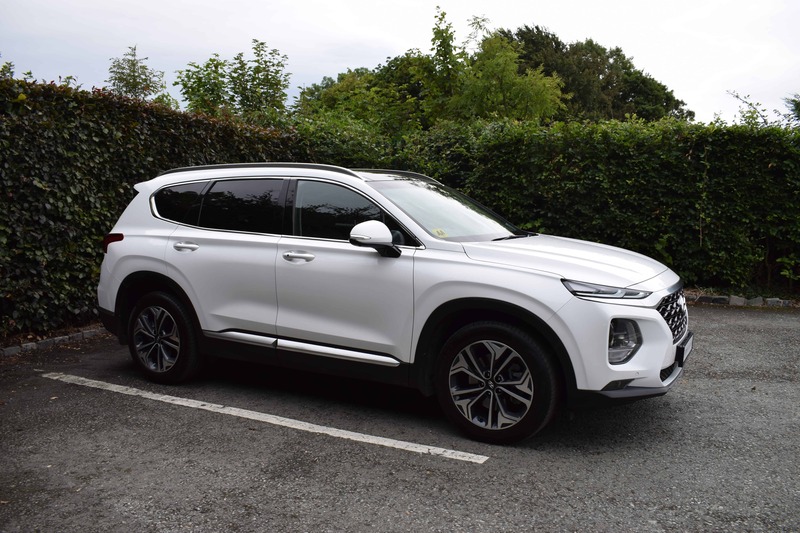 Now in its fourth generation, the all-new Santa Fe is Hyundai’s range-topping SUV and is available in two-wheel drive or four-wheel drive for added driver confidence and go-anywhere ability. 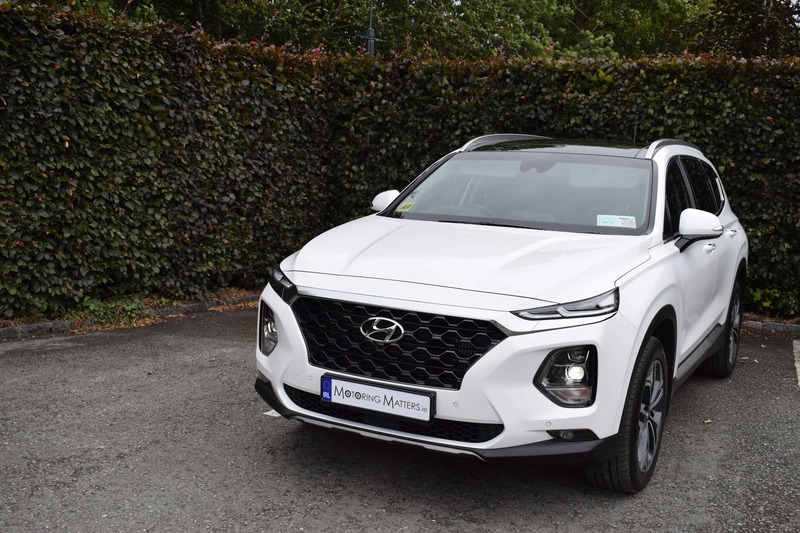 The Santa Fe’s smaller sibling, the wonderful Tucson, has enjoyed unprecedented sales success here in Ireland and worldwide, picking up the glorious title of Ireland’s Best Selling Car along the way and the new Santa Fe is the natural progression for families looking for seven seats, without sacrificing stunning good looks, or spirited performance. The new Santa Fe is a seriously handsome SUV from every angle and has employed cutting-edge design techniques in order to make it one of the most distinctive cars in its class. Seen from the front, the eye-catching LED Daytime Running Lights and Hyundai’s signature Cascading Grille make an athletically elegant impression. 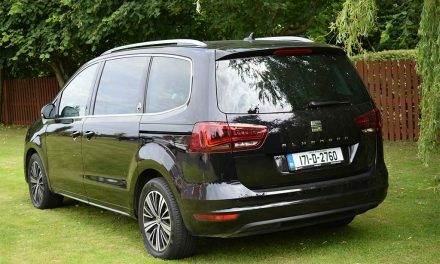 Rivals to the new Santa Fe include its close relative, the Kia Sorento, along with the Skoda Kodiaq, Peugeot 5008 and Land Rover Discovery Sport, and is set to shake up this fiercely competitive market segment due to its competence in every area. 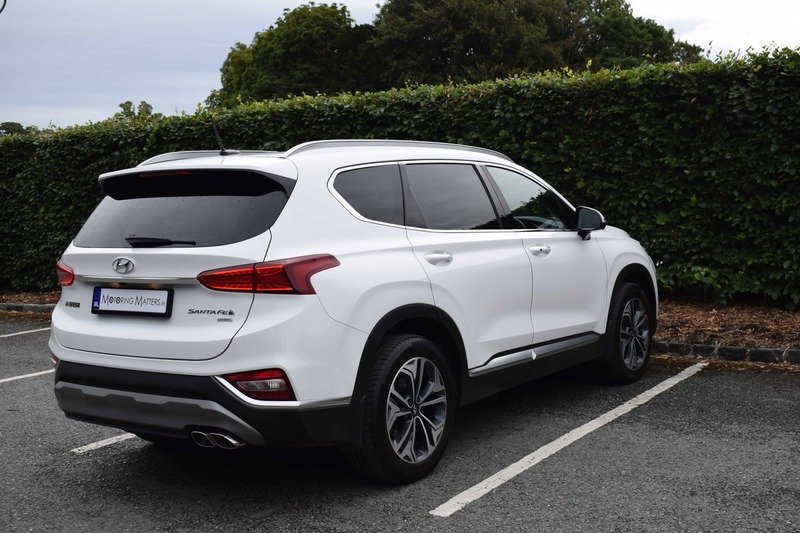 Available in three trim levels – Comfort Plus, Executive Plus and Premium Plus – the new Santa Fe combines best-in-class safety features along with class-leading roominess (two essential considerations when choosing a family-friendly SUV). Hyundai’s wonderfully smooth eight-speed automatic gearbox is optional in Executive Plus specification and standard in range-topping Premium Plus specification. 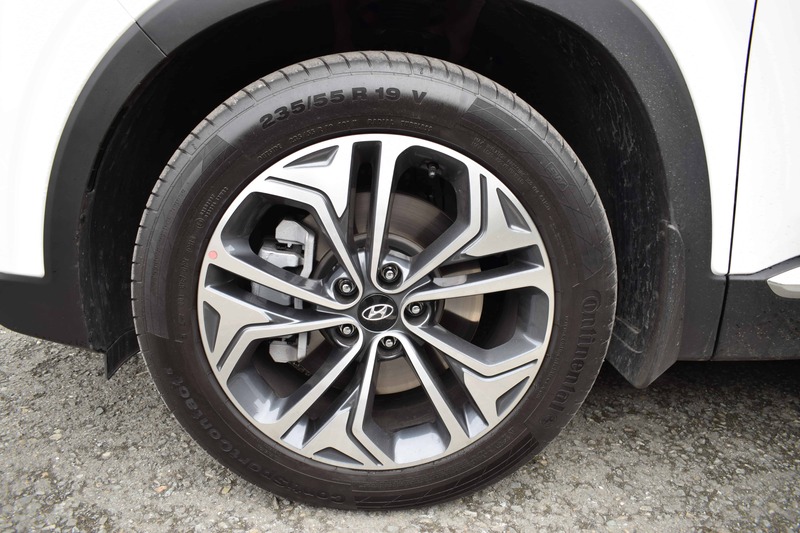 Hyundai’s new ‘HTRAC’ four-wheel-drive system is standard in Premium Plus specification and optional in Executive Plus, with the Comfort Plus trim level only available in two-wheel-drive with a slick six-speed manual gearbox. For simplicity, the new Santa Fe is available with just one engine for now – a 2.2-litre CRDi (turbo diesel) with 200bhp and an impressive 440Nm of torque for swift acceleration. This power plant is an updated version of the engine used in the outgoing model and benefits from reduced CO2 emissions, selective catalytic reduction, a particulate filter and a NOx trap system. 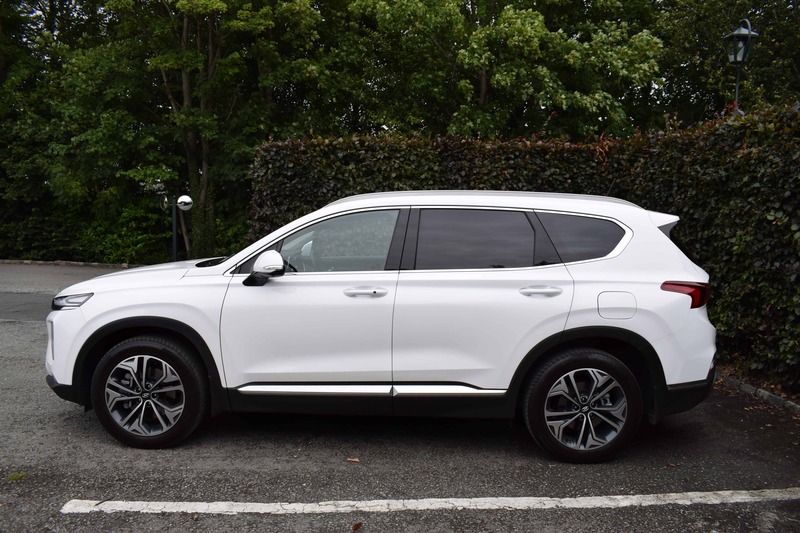 My test car was a new Hyundai Santa Fe Premium Plus 4WD Automatic finished in striking ‘Ice White’ paintwork with contrasting black trim and a panoramic roof for added impact. Standard specification across the new Santa Fe range is hugely impressive, with my test car coming complete with such features as 19” alloy wheels, 7” TFT Supervision Cluster, power drivers seat, gearbox paddle shift, LED headlights, satellite navigation, around-view monitor, heads-up display, advanced smart cruise control, smart key with push button start & stop, parking sensors front & rear, reverse camera, front-facing camera, blind spot collision warning system and many other safety, security, technology and comfort features. 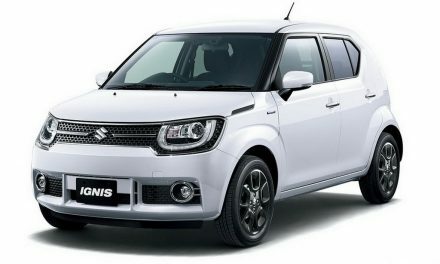 Four selectable driving modes are available – Sport, Eco, Comfort and a Smart mode that automatically shuffles between the other three depending on your driving style. Delivering smooth, effortless automatic gear-changes, the 8-speed automatic transmission is extremely easy to use, and does not require any transmission oil change in normal use. Driving dynamics in the new Santa Fe are excellent and road holding is inspirational, no matter what the road surface is like. The car steers with poise and precision, and overall body control is terrific. 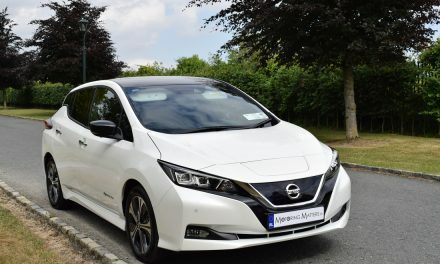 Straight-line performance is excellent too, with a 0-100km/h sprint achievable in just 9.0-seconds, while fuel consumption as low as 5.9l/100km is obtainable on a combined driving cycle. My test car’s standard HTRAC four-wheel-drive system actively adjusts the driving power distribution to all 4 wheels to achieve optimal balance on every kind of road surface. The new Santa Fe comes with a wide range of innovative technology systems that help make your life easier. The clever features are designed for calm connectivity, creating a comfort zone for you to take care of your family and enjoy life’s special moments. 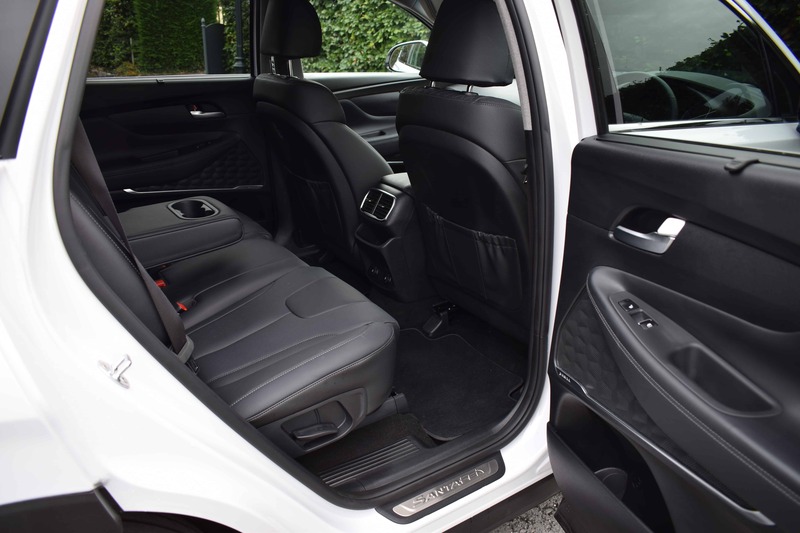 Look inside the car and you will find a roomy and well-finished interior, with plenty of soft touch plastics high up on the dashboard and doors. 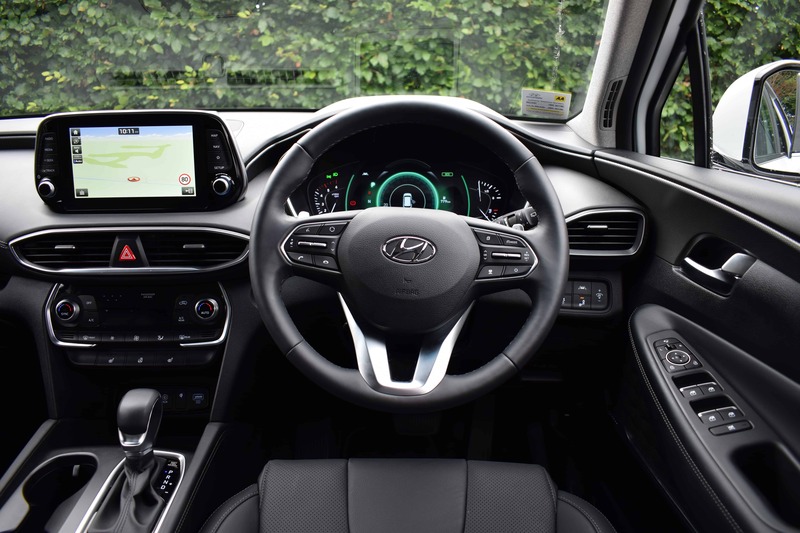 The Santa Fe uses Hyundai’s latest design scheme with a de-cluttered centre console and floating touchscreen setup. 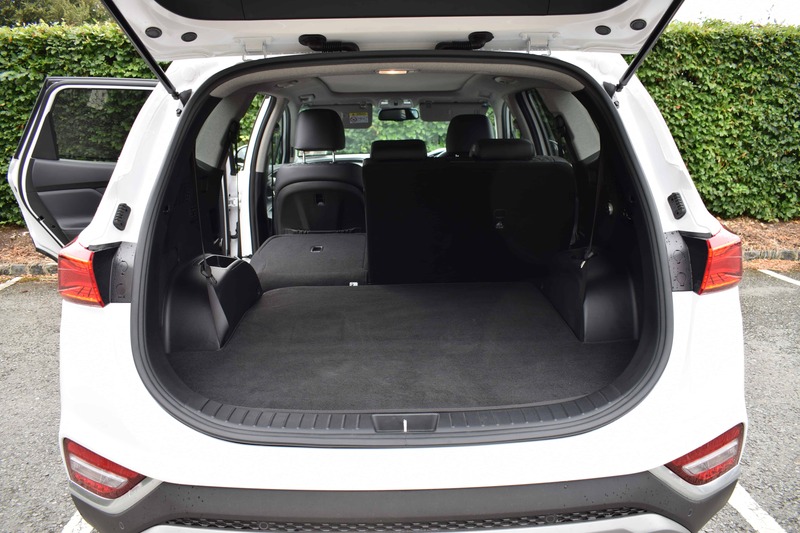 The quality of the Santa Fe’s seating is exceptional and provides plenty of lateral support for effortless comfort. Room for passengers in the back seats is really very good, while the third row adds practicality too. Passengers in the very back have their own air conditioning controls, which is a very nice touch. 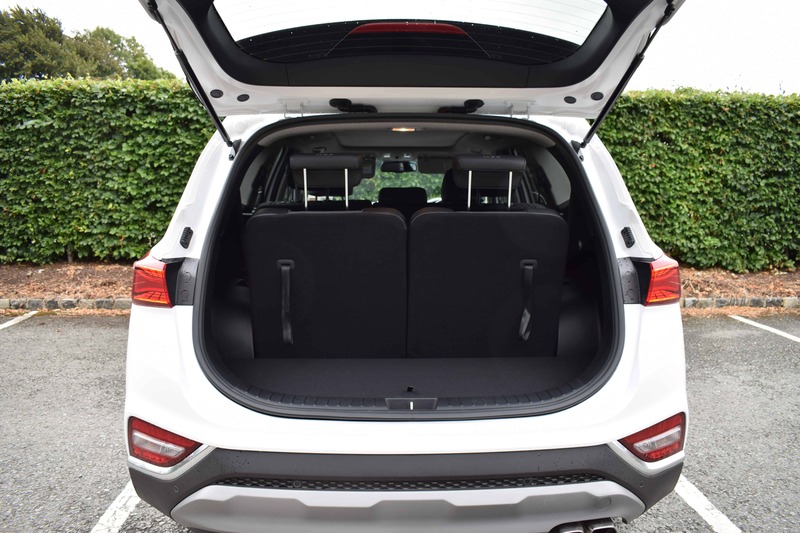 Boot space is a competitive 547 litres with the two rearmost seats folded – and configuring the seats to your needs is simple enough thanks to a selection of one touch buttons and pulls for folding and moving them. 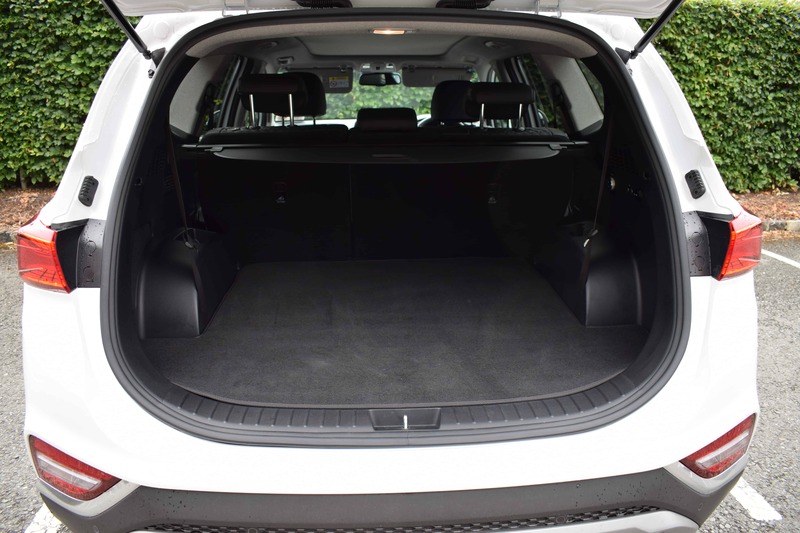 Fold all five rear seats flat and space expands to a huge 1,625 litres. The new Hyundai Santa Fe is a seriously competent all-rounder. It makes strides in quality, practicality and technology, and is proof that Hyundai are making no secret of their desire to step further upmarket and be seen in a more aspirational light too. 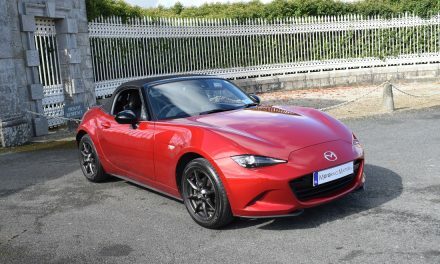 Prices start from just €41,995 (ex-works), with my test car specification priced at €57,495 (ex-works). 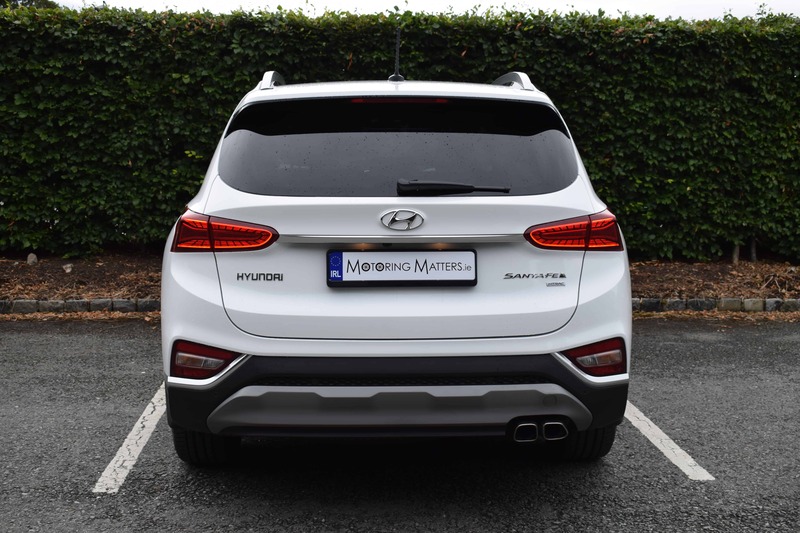 Hyundai’s 5-year, unlimited mileage, warranty, AA Roadside Assistance and a free 5-year health check package come as standard, with Hyundai offering a choice of a scrappage deal of up to €4,000, or a 3.9% APR finance deal or a 5-year free service plan – for registrations up to August 31st 2018. Check out www.hyundai.ie for further information.